Development signs have recently been installed and notices to neighbours have been mailed for new development proposals at 1601 Comox/1071 Cardero, 1546 Nelson and 1529 Comox. Each of these proposals includes the construction of new buildings ranging from three to four storeys in height in the rear yard areas of the buildings on the sites. It appears these projects can be approved without a Public Hearing, as a result of adoption of the West End Community Plan. The three projects will be reviewed by the city’s Urban Design Panel at the meeting of Wednesday, August 27th (note corrected date). Please read below and ask yourself, is this what you expected when the City said “laneway housing” was coming to the West End? Project information is now posted for these each of these developments is listed on the City of Vancouver website at the links below. Note that the sign board in front of this project indicates that the proposed FSR (Floor Space Ratio, or the ratio of the building area to the lot area) is 2.36. This ignores the existing building on the site, so the total FSR is actually approximately 4.4. 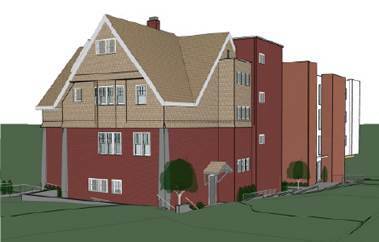 The project includes “family-oriented” two-bedroom units as small as 618 square feet. This proposal includes moving the existing heritage house to the front lot line and a new “infill” building at the rear of the site. It’s interesting to review the “revitalized lane area” in this image – does this match what people expected as part of the West End Plan? Concerned citizens are encouraged to attend and observe this meeting. In February of this year, as part of zoning updates to support the West End Community Plan, a change was made to the RM5 zoning in the West End to allow the City to “relax” many of the provisions of the zoning to accommodate infill housing such as that proposed. WEN had expressed concerns regarding this blanket approach to land use regulation at the time of adoption of the Community Plan as well as at the time of amending the zoning bylaws as it was believed that criteria such has setbacks, outdoor space, height, and site coverage have all contributed to the character and livability of the West End. (d) existing buildings, landmarks or features on the site which are listed on the Vancouver Heritage Register or may have heritage value must be conserved, to the satisfaction of the Director of Planning. Because of Section 5.3 of the zoning, it appears these projects can be approved by the City without a rezoning process or Public Hearing in front of Council – the zoning provisions regarding setbacks, site coverage, height, outdoor space, density and parking can essentially be “relaxed” to accommodate any or all of these developments. Trees: existing trees on the sites will be removed, significantly changing the character of these sites. This is a particular issue for 1529 Comox Street, which has a very treed character facing Comox Street. Amenities: while most development projects help support the creation of amenities in neighbourhoods, there would be no amenities associated with these projects with the new residents creating increased demand on aging infrastructure such as Joe Fortes Library. Construction impacts: noise and disruption are inevitable aspects of redevelopment – some have expressed concerns regarding the impacts of three projects in a small area. Heritage: what are the implications of moving the heritage-listed 1907 “Allan Residence” to the front property line? 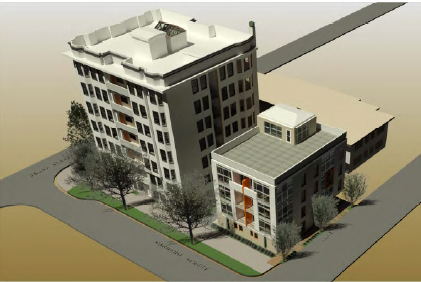 Housing created: are units proposed as “family housing” that are just over 600 square foot two bedroom units likely to be livable for families? What will these units rent for? Impacts on Shadowing and Privacy: No shadow studies have been provided so how can neighbours determine how they will be affected? Public consultation: Why is no public meeting or open house scheduled as a chance for neighbours to learn about these three proposals and provide input to them? 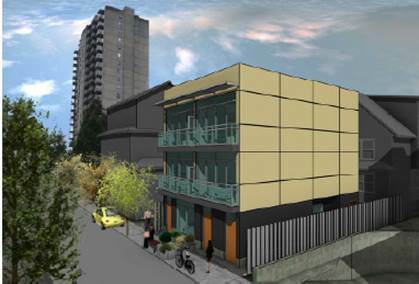 Building character: Are these the types of buildings that residents expected to see when the city offered “laneway housing” as part of the West End Community Plan? WEN encourages residents to share their opinions on the proposals – as we receive comments and input on the proposals we’ll try to keep the website updated. If you hear anything you think the community could benefit from, please let us know! West End Neighbours encourages people to educate themselves about the projects, consider the implications, engage with their neighbours, and to share their concerns and opinions with the city.